The WWE Universe has been waiting in anticipation for months. WrestleMania 35 is now less than a month away. It's looking more likely that Ronda Rousey vs Becky Lynch vs Charlotte match will headline the PPV this year. It'll mark the first time that a women's wrestling match will be main-eventing WrestleMania in WWE history. In previous WrestleManias, the WWE fans were treated to dream matches such as The Rock vs. Hulk Hogan, Mr. McMahon vs Hulk Hogan, Ric Flair vs. Shawn Michaels, The Rock vs. John Cena and many others. For months, there were rumors circulating across the spectrum of potential matchups. Some of them have to do with WWE Legends, AEW Bound wrestlers as well as cheeky hints on social media created by certain WWE Superstars themselves. The WrestleMania 35 card is shaping up well with Brock Lesnar taking on Seth Rollins and just-announced long-awaited Batista Vs. Triple H Match. 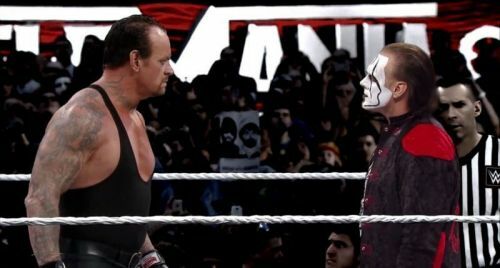 More matches are rumored for the event but there are those dream matches that fans are salivating for and wish was happening at the showcase of the immortals. Finn Balor loves to play around on social media and has been wanting to face The Undertaker at WrestleMania for a while. He even photoshopped an image of him stomping The Dead Man on Instagram. The matchup does make for great storytelling. The Demon gimmick is interesting in its presentation. Finn Balor comes to the ring in face paint with dreds and a top hat. It's more bizarre than frightening but is more reminiscent of characters like Dr. Jekyll and Mr. Hyde. The Undertaker is well known to the WWE Universe. He's the Prince of Darkness, the Lord of the Underworld and the Demon of Death Valley. If Balor is representative of the future, Undertaker represents the past. 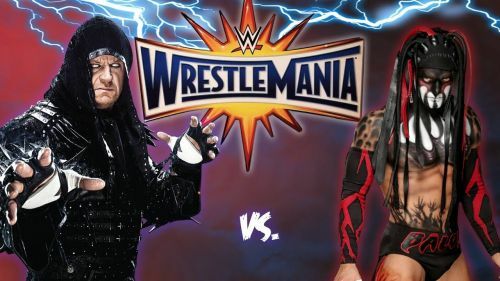 While it's still unclear whether The Undertaker will even compete at WrestleMania 35, this match would have a great addition to the WrestleMania match card.